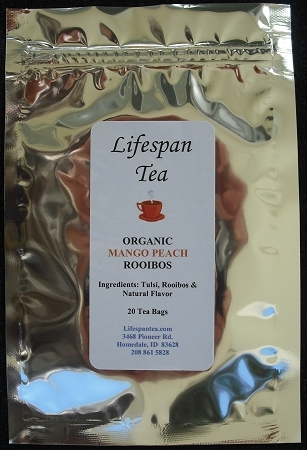 This refreshing tea blends 3 varieties of *Tulsi (Krishna, Rama and Vana), with rooibos, mango and peach essence to create a delicious fruity brew with high mineral and antioxidant properties. *Tulsi (also called holy basil) has rich antioxidant and adaptogenic properties which promote wellness by enhancing the body's immune system. Antioxidants protect cells from damage caused by free radicals and adaptogens serve as powerful anti-stress agents, helping to guard against the effects of environment & emotional stress. Ingredients: Tulsi, rooibos, & natural flavors. Organic & caffeine free.